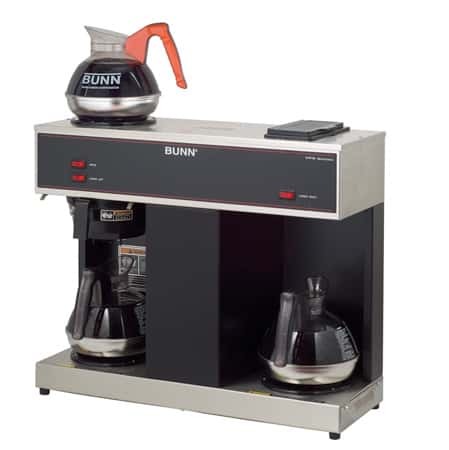 The BUNN VPS Brewer gives you the freedom to brew a fresh pot of coffee, while simultaneously warming two additional decanters of coffee, for a total of three pots of hot coffee at your ready. No exterior plumbing is needed. 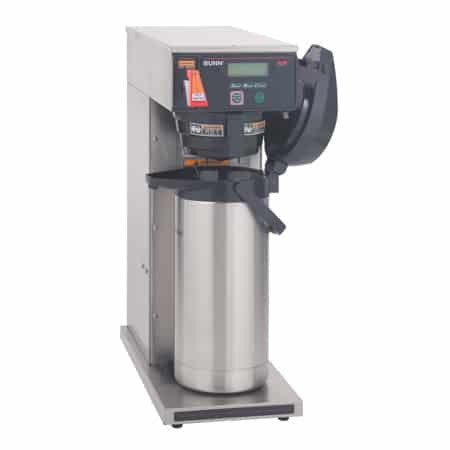 The BUNN VPS Brewer 04275.0031 gives you the freedom to always have a nice, hot pot of coffee ready-to-go at all times. 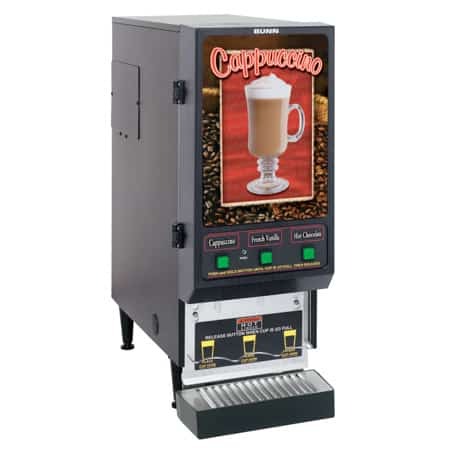 This unit will brew a fresh pot of coffee while warming two additional decanters, for a total of three pots of hot coffee. Operation of the pourover Brewer couldn’t be easier. Simply pour cold water into the designated opening on the top. 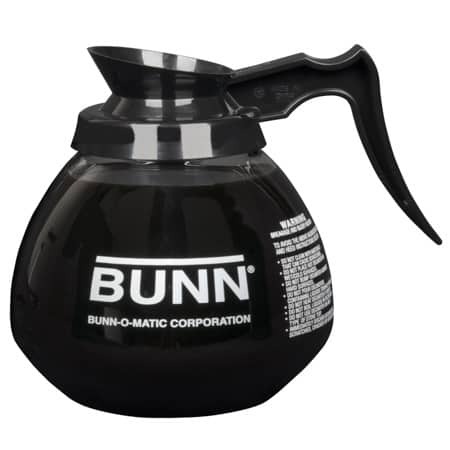 Hot, fresh-brewed coffee will instantly trickle through the bottom and into the decanter below. No exterior plumbing is needed, making this unit 100% portable. A perfect option for catering events. 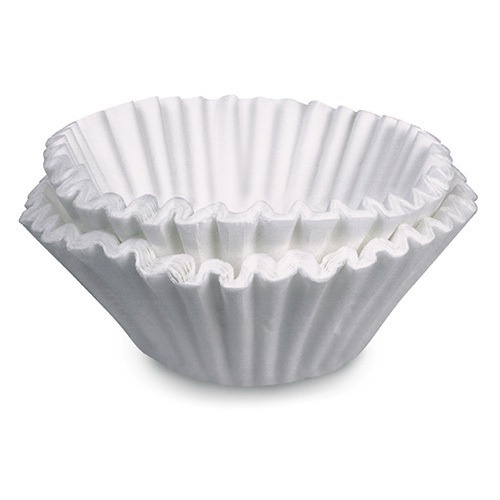 For your safety, the VPS has a SplashGuard Funnel to protect your hands from hot liquids during pouring. Brews 3.8 gallons per hour. 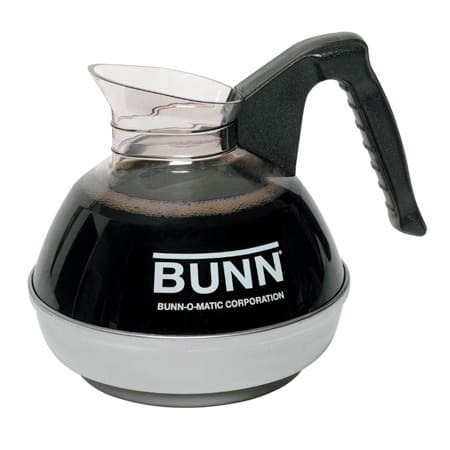 Decanters sold separately – for use with Bunn Glass Decanters or Bunn Easy Pour Decanters.